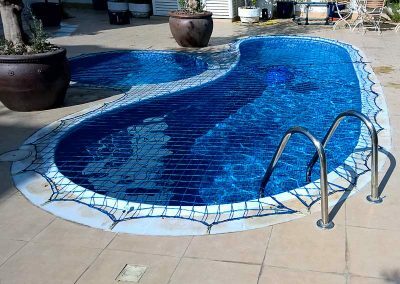 Drowning is a quick and silent killer. 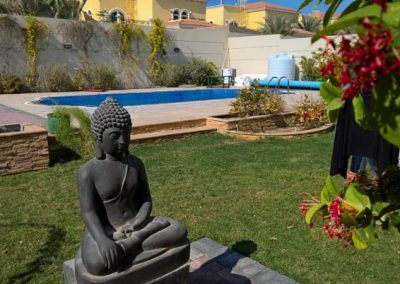 As you know, in the time it takes to answer the phone, go to the bathroom or answer the doorbell, a child can silently fall into the water and drown or sustain permanent brain damage! 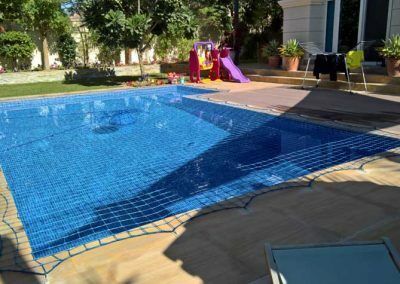 The Aqua-Net swimming pool safety net was launched in 1972, and has been used by concerned parents for more than 40 years. 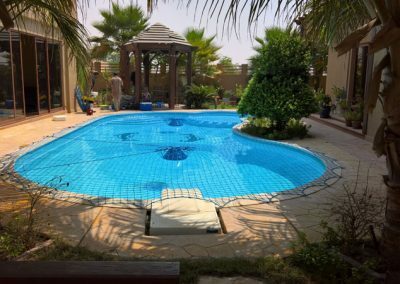 To date, there have been ZERO reported drownings in a pool with an Aqua-Net installed – that is to say a 100% safety record! 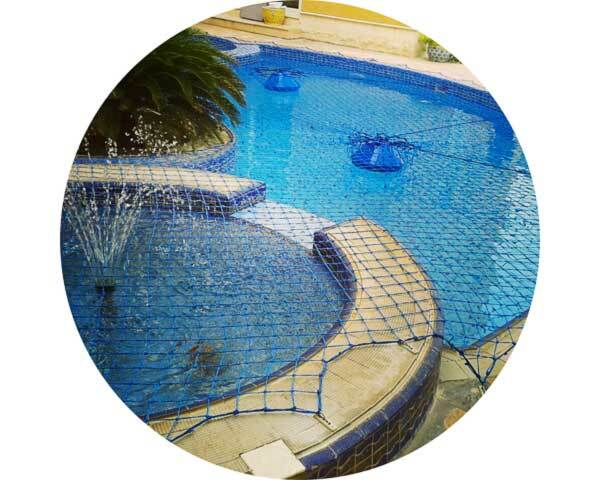 Why choose an Aqua-Net ? 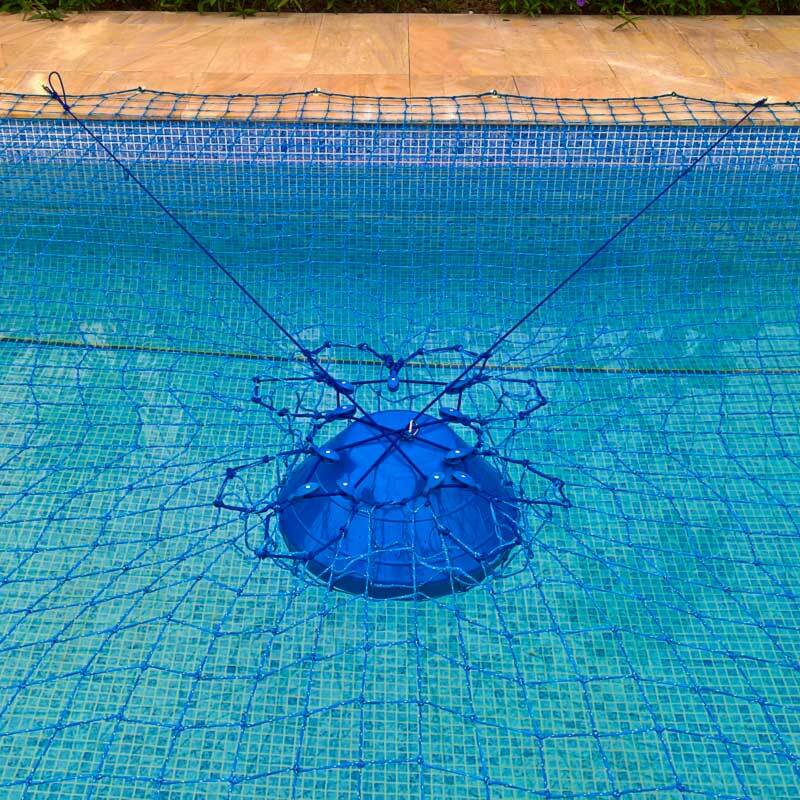 The Aqua-Net is safe. 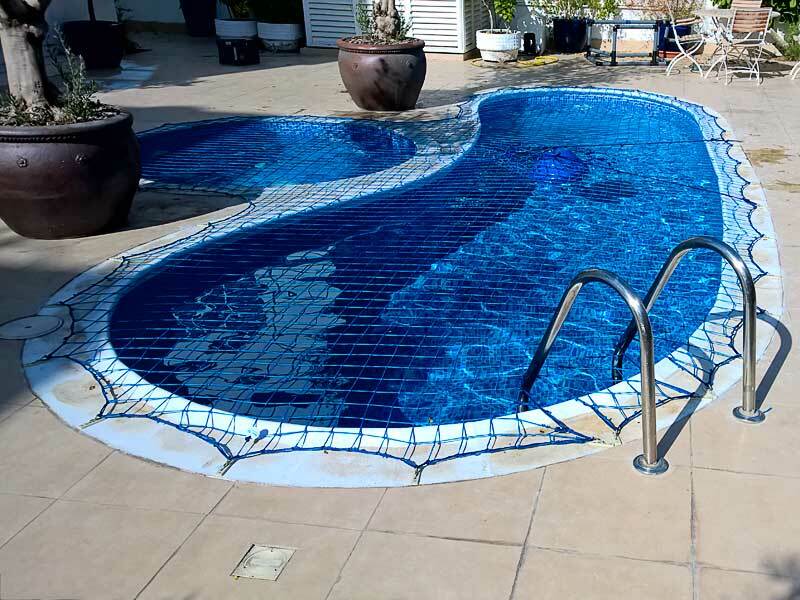 It has a 100% safety record over more than 40 years. 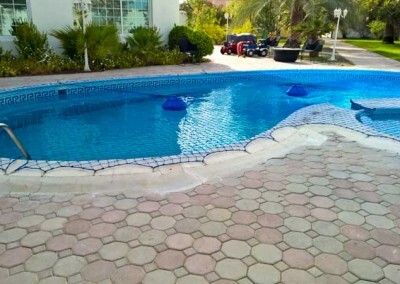 It looks stylish, and it complements pool and decking colours. 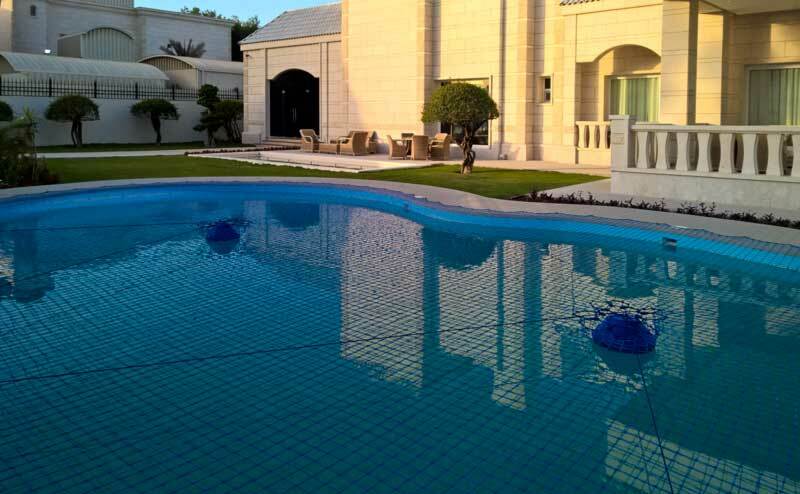 It is low profile and does not block your view. 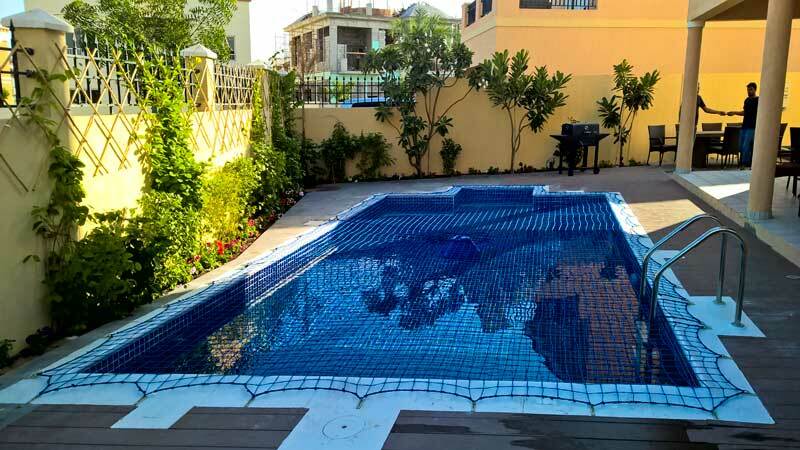 The net does not break up the space or the design of your garden. 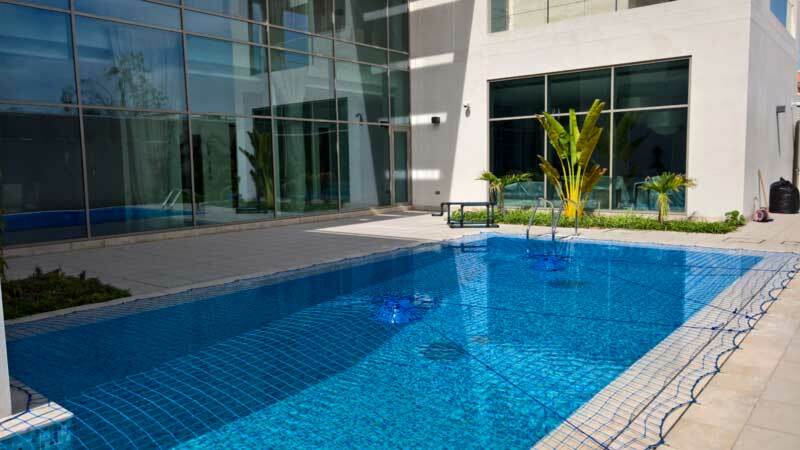 It is easily removable and can be stored away. 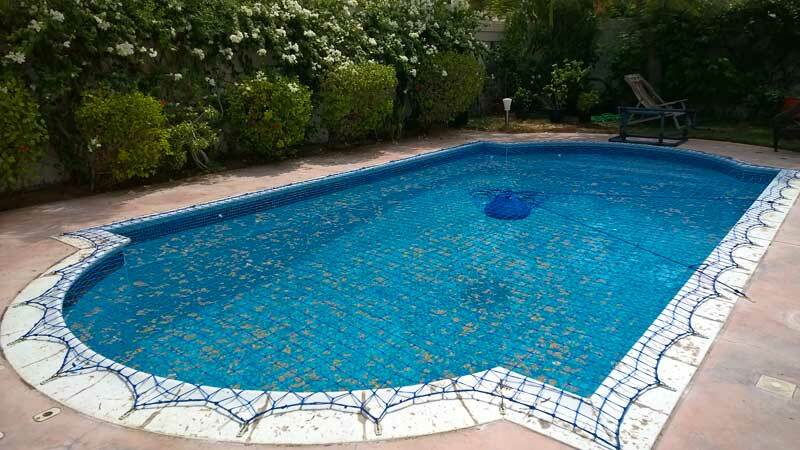 The Aqua-Net is maintenance free. 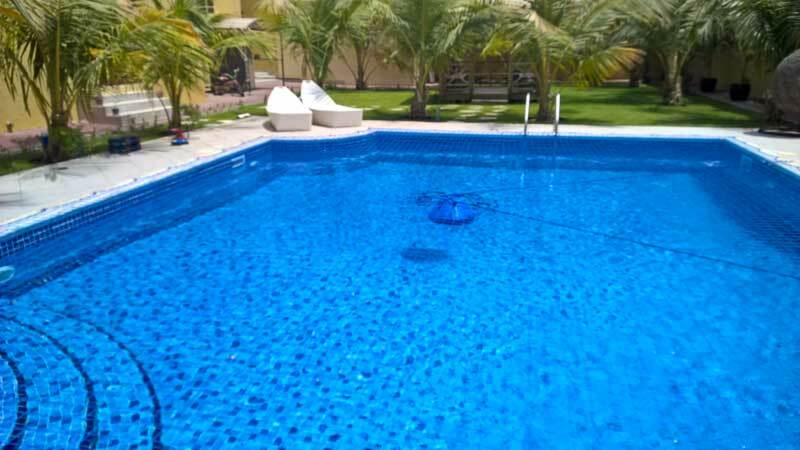 It does not need cleaning or special treatment. 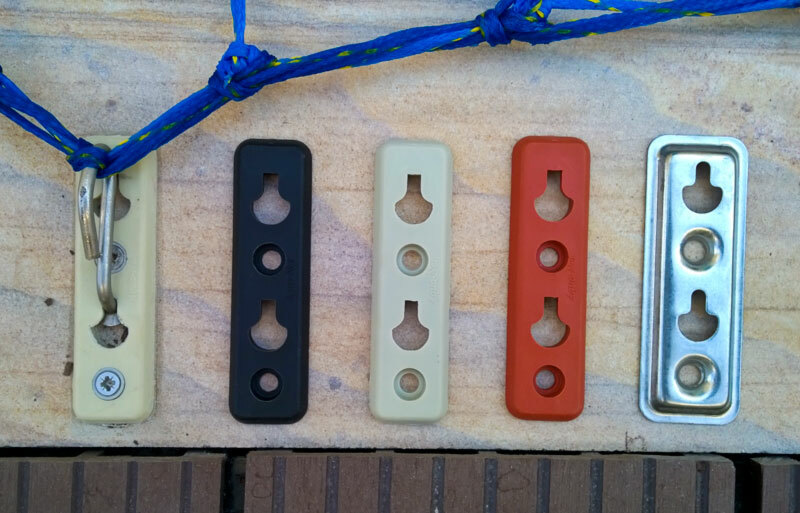 The mounting plates are small, flat, and UV-resistant. 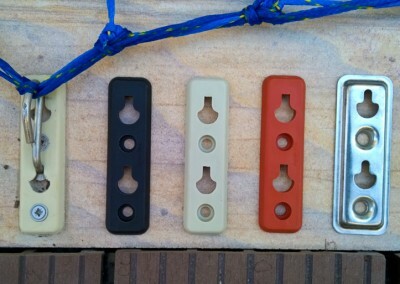 They do not get hot and are rounded to prevent injury to little feet. 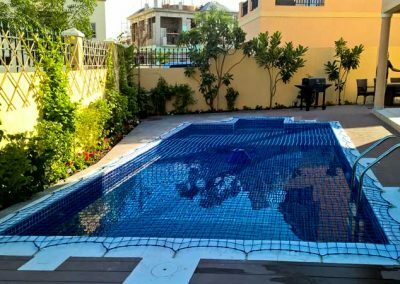 What is the difference between a pool net and a pool cover? 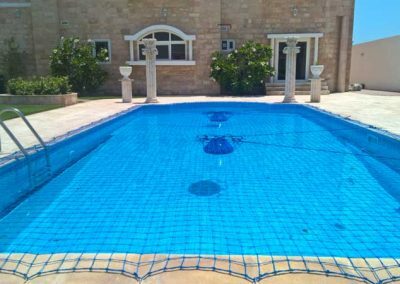 A pool cover is not a safety device, and can even be a safety hazard as far as child safety is concerned, as the edges are not tightly secured and children have been known to slip under. 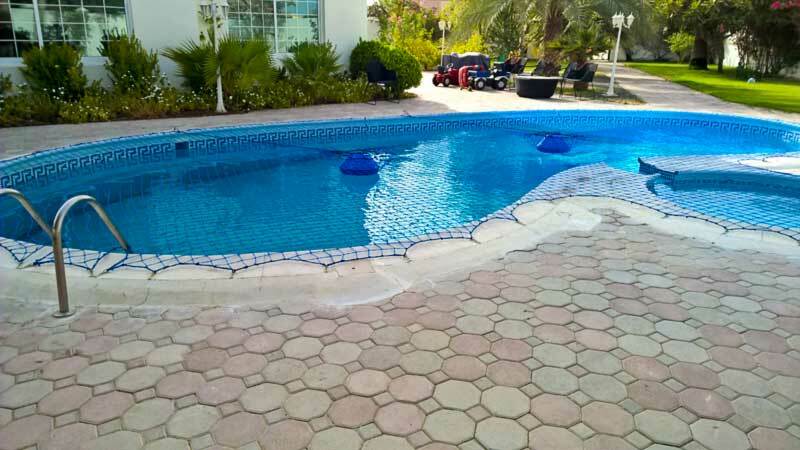 Water can also collect on top of the cover presenting a drowning hazard. 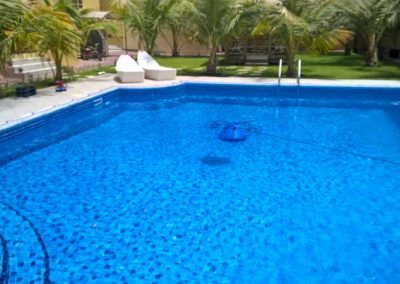 The purpose of a pool cover is to help keep leaves and garden rubbish from blowing into the pool. 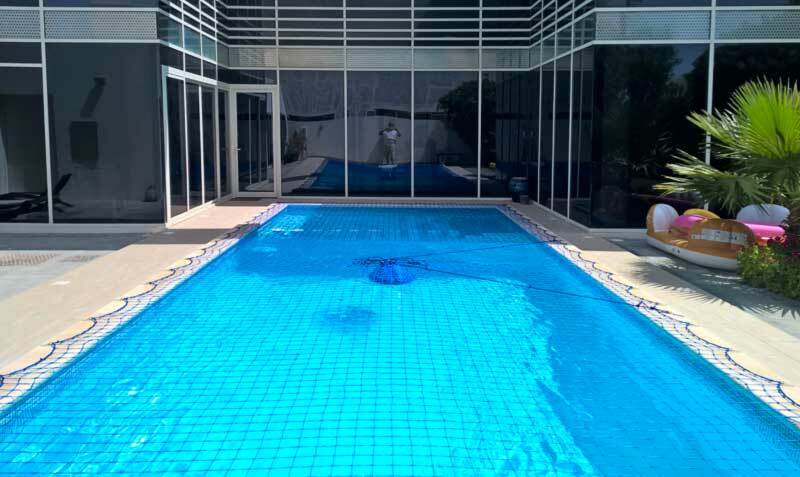 Some pool covers can also insulate the pool, maintaining water temperatures warm or cool. 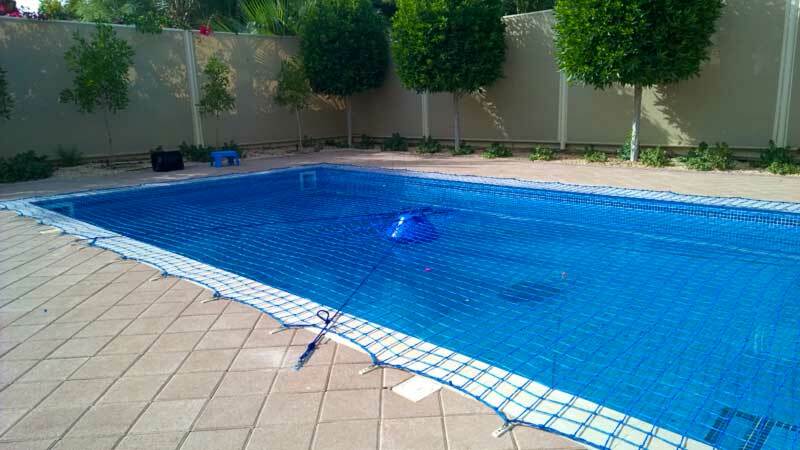 A pool net is a child safety device. 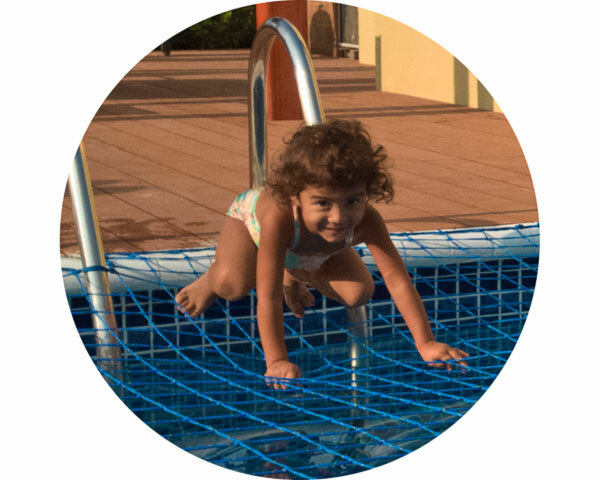 It prevents drowning by forming a secure barrier between your child and the water. 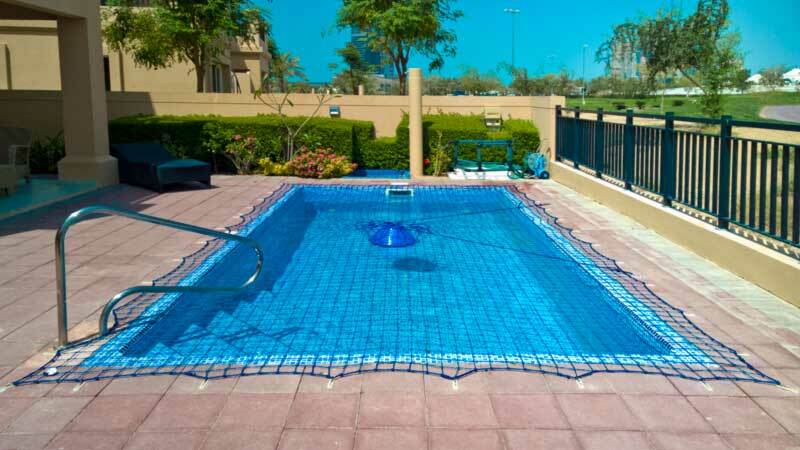 Pool safety net, Golf Creek Villas, Dubai. 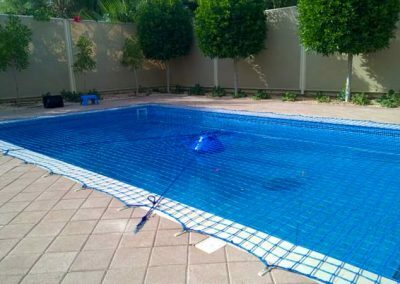 Pool safety net in Doha, Qatar. 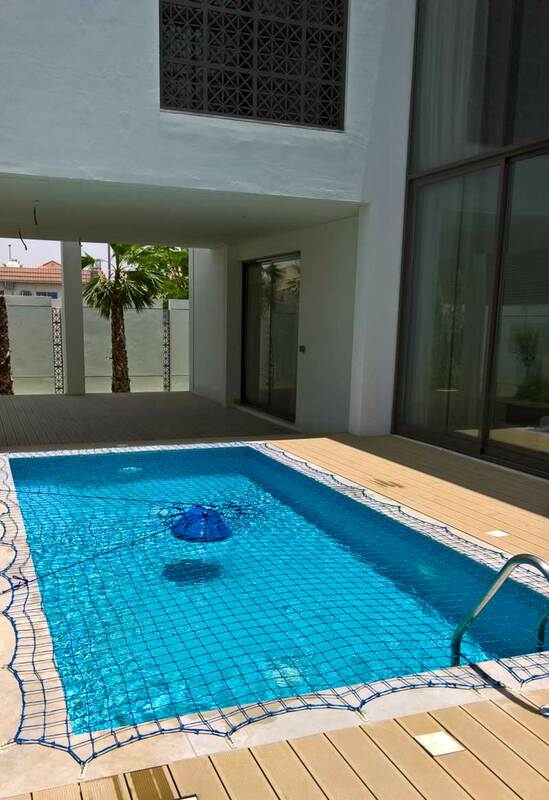 Pool safety net Golf View, Dubai. 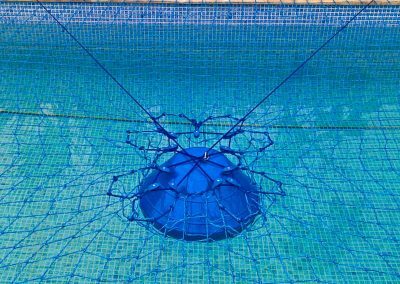 Pool safety net, Mohamed bin Zayed City, Abu Dhabi. 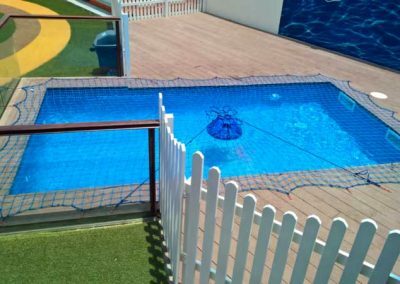 Pool safety net Al Barsha, Dubai. 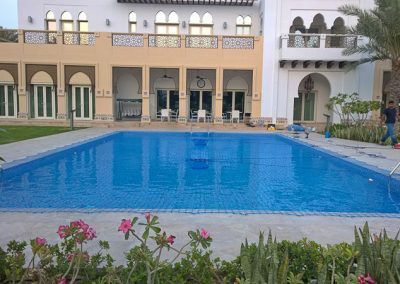 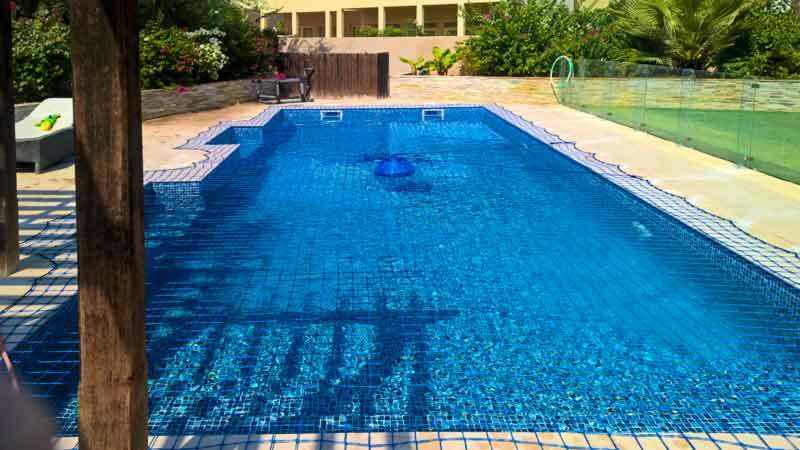 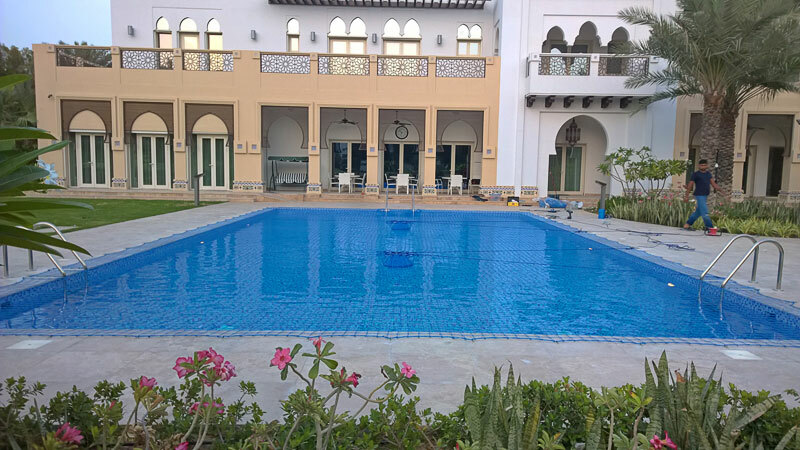 Pool safety net Ras Al Khaimah, Al Hamra, pool 2, RAK. 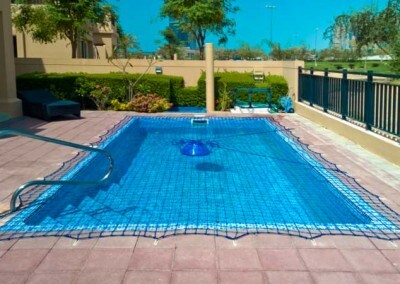 Pool safety net, Khalifa City, Abu Dhabi. 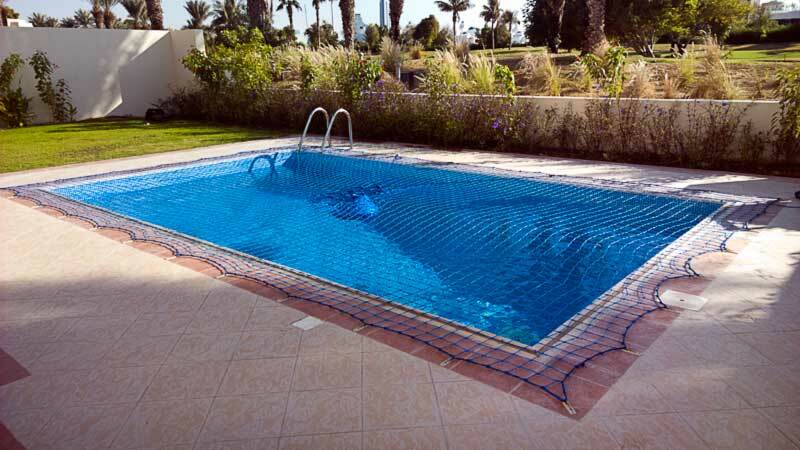 Pool safety net Mizhar, Dubai. 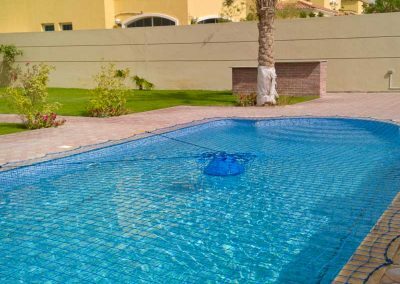 Pool safety net Al Barsha 1, Dubai. 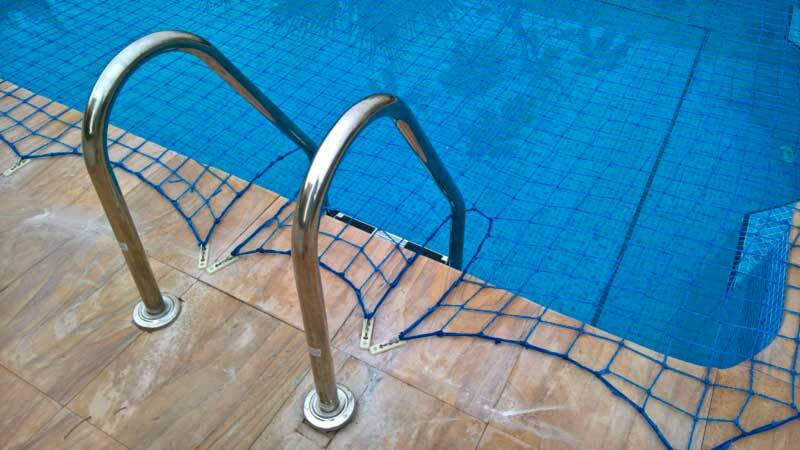 Pool safety net CTS – Central Tensioning System. 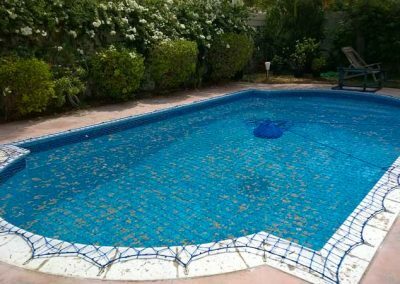 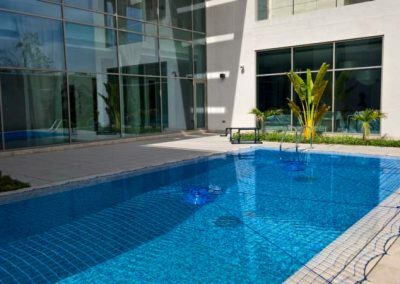 Pool safety net Al Barsha South, Dubai. 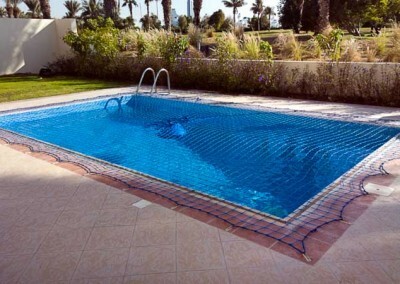 Pool safety net Um Seqeim, Dubai. 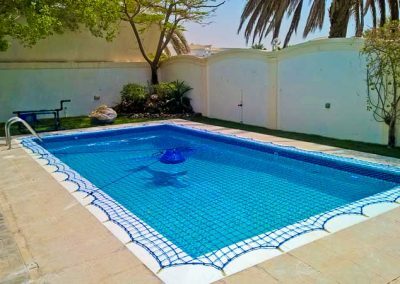 Pool safety net Arabian Ranches, Saheel, Dubai. 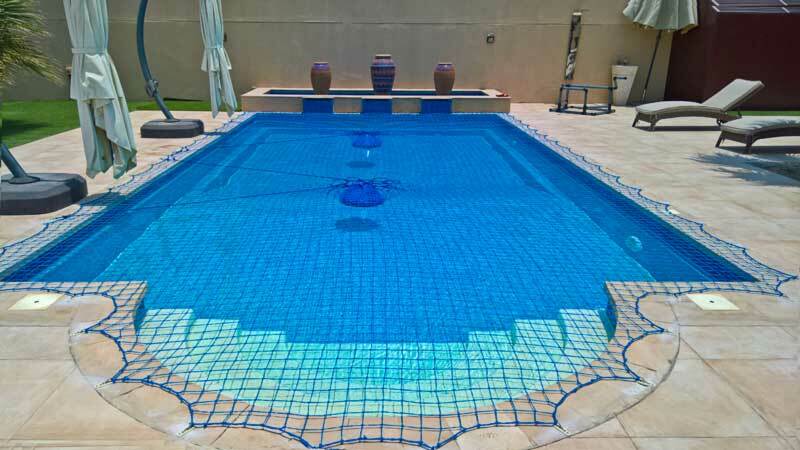 Pool safety net Muhaisenah, Dubai. 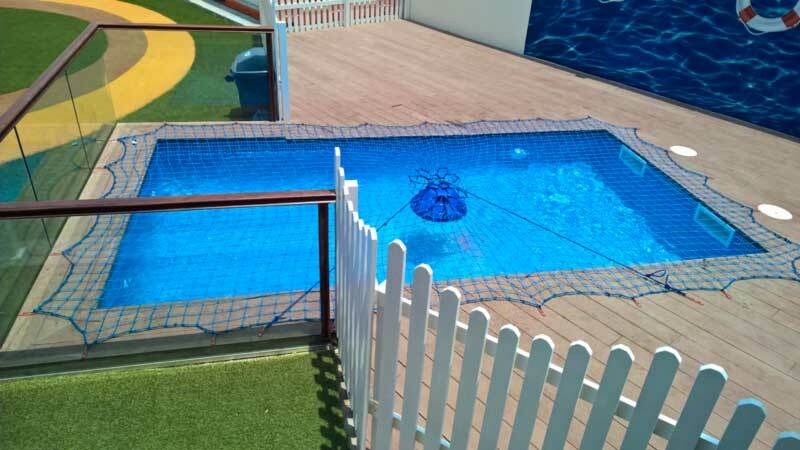 Pool safety net, Al Barsha 3, Dubai. 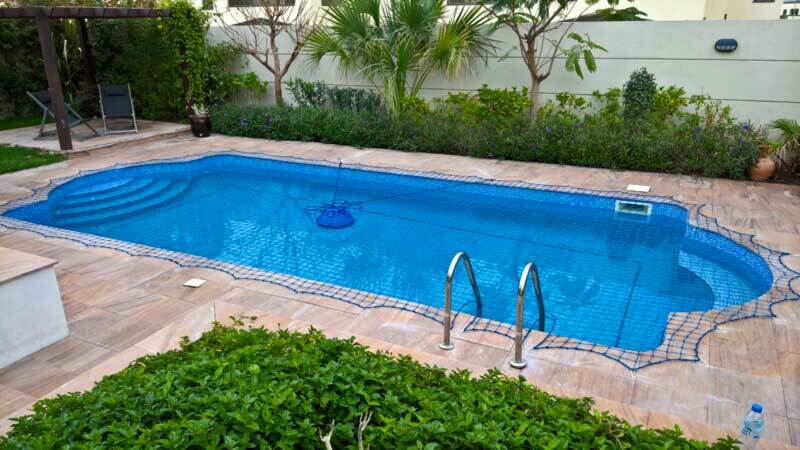 Pool safety net at Golf Villas, Abu Dhabi. 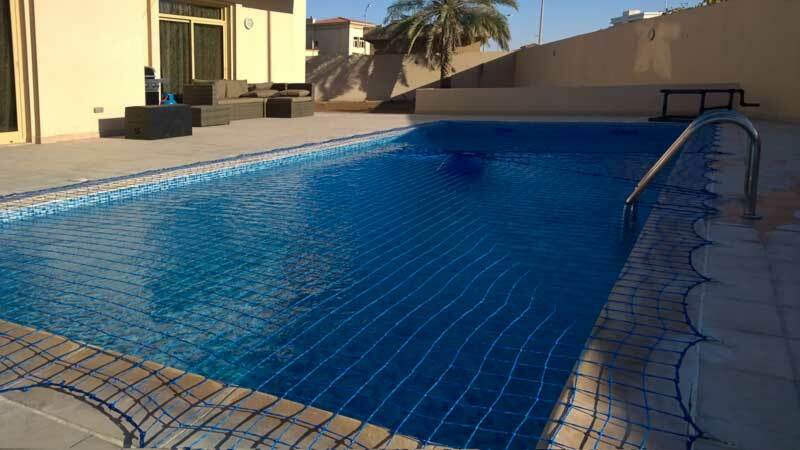 Pool safety net Jumeirah Park, Dubai. 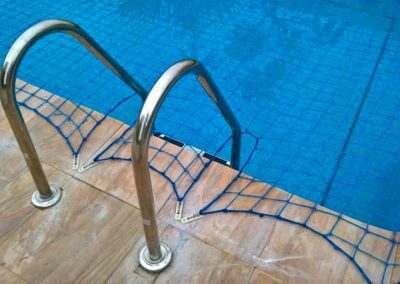 Pool safety net fitted around steps. 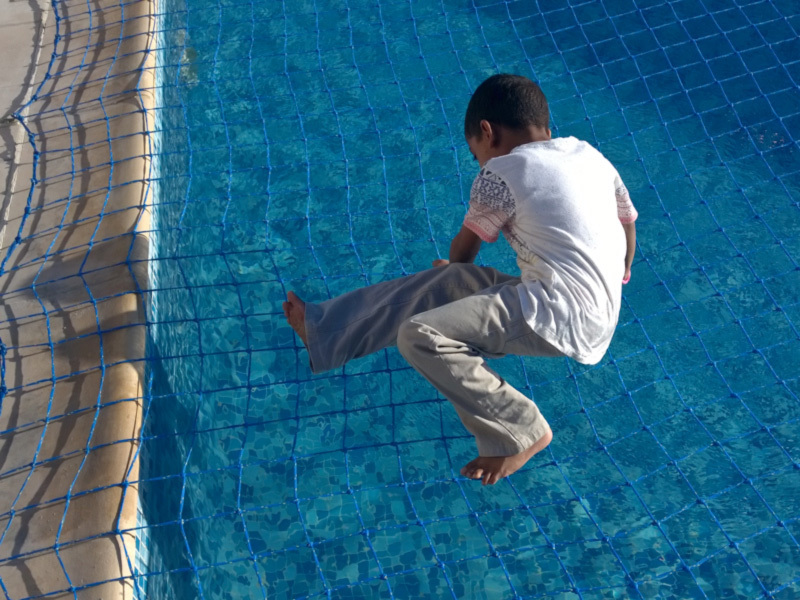 Pool safety net Safari Kid Nursery school in Satwa, Dubai. 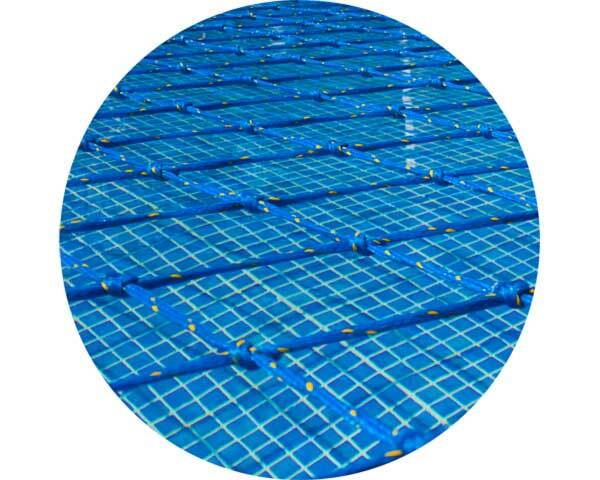 Aquanet pool net plate colours. 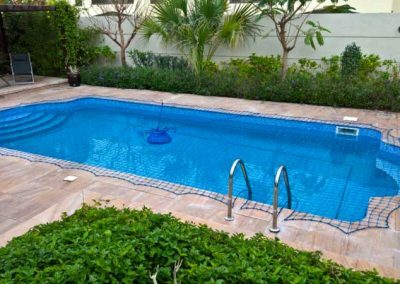 Pool safety net Green Community, Dubai. 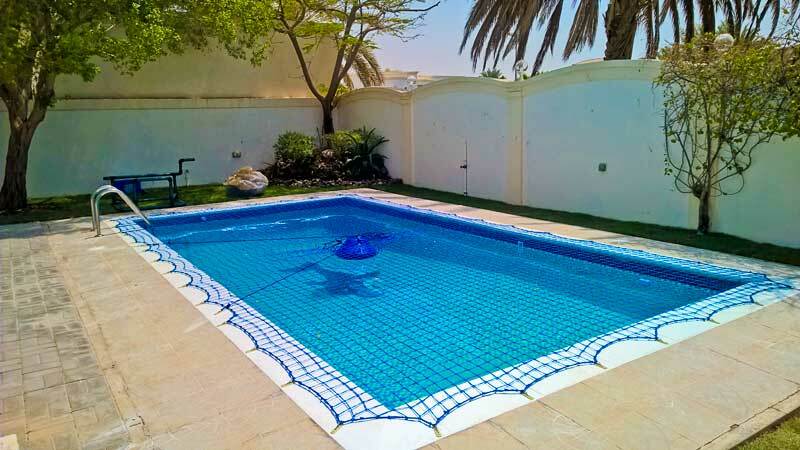 Pool safety net Arabian Ranches, Palmera, Dubai. 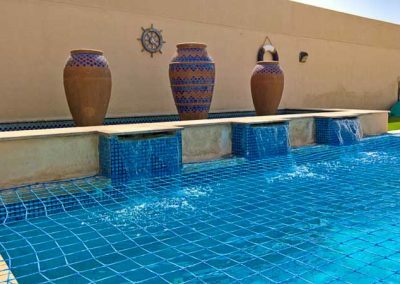 Pool safety net Ras Al Khaimah, Al Hamra, RAK. 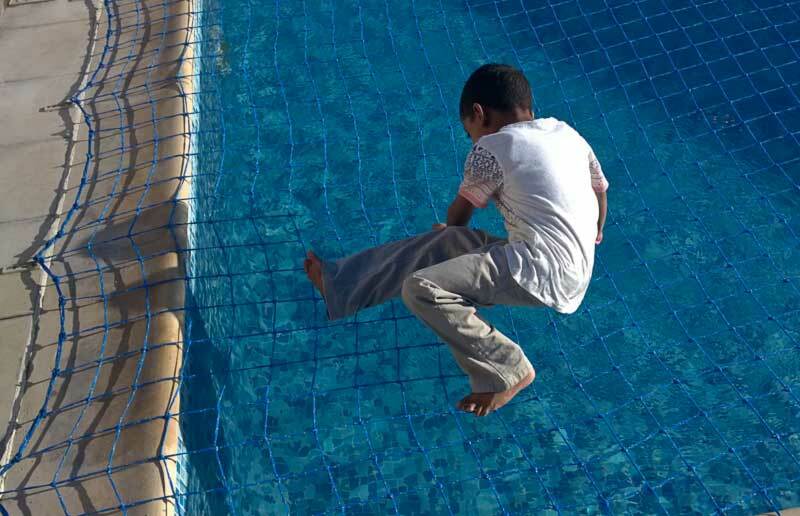 Pool safety net Victory Heights, Dubai. 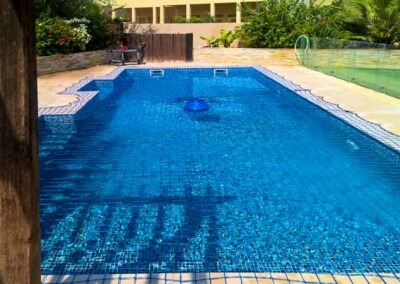 For a provisional quote, please give us the maximum length and width of your pool, from water’s edge to water’s edge. 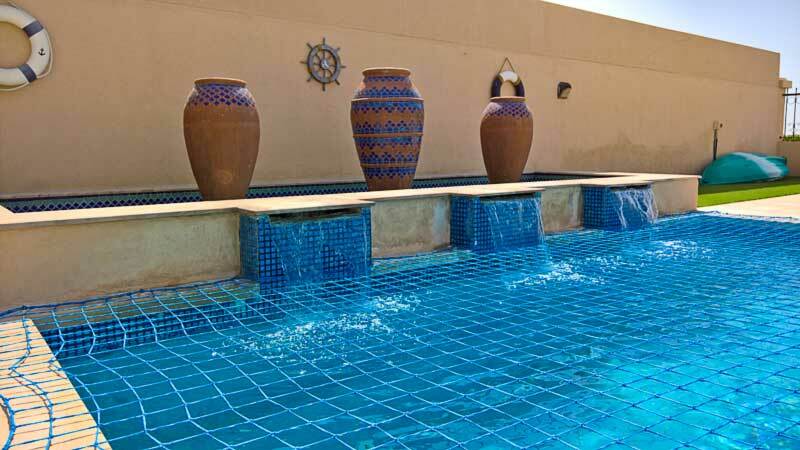 Or for a visit, please give us your location and contact number.